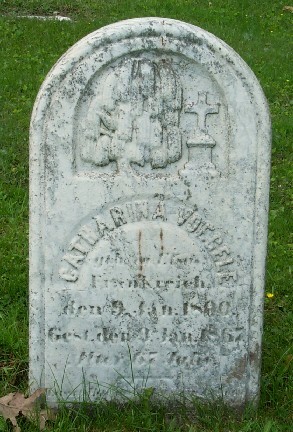 The gravestone of Catharina (Müller) Voegele in the St. Mary of the Assumption Cemetery in Lancaster, New York. 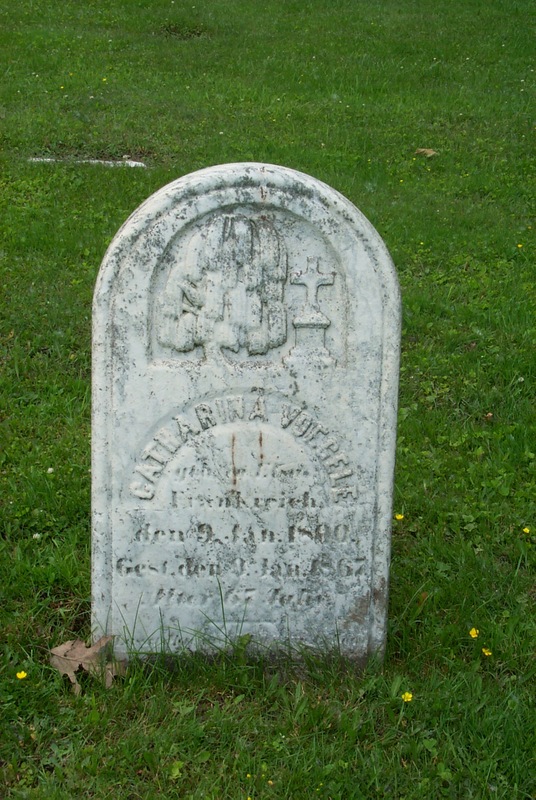 The stone gives her date of birth as 09-Jan-1800. However, her birth record and marriage record from Soufflenheim both state that she was born on 11-Apr-1799.